Glucose-stimulated insulin secretion (GSIS) and insulin-stimulated glucose uptake are processes that rely on regulated intracellular vesicle transport and vesicle fusion with the plasma membrane. DOC2A and DOC2B are calcium-sensitive proteins that were identified as key components of vesicle exocytosis in neurons. Our aim was to investigate the role of DOC2 isoforms in glucose homeostasis, insulin secretion and insulin action. DOC2 expression was measured by RT-PCR and western blotting. Body weight, glucose tolerance, insulin action and GSIS were assessed in wild-type (WT), Doc2a −/− (Doc2aKO), Doc2b −/− (Doc2bKO) and Doc2a −/−/Doc2b −/− (Doc2a/Doc2bKO) mice in vivo. In vitro GSIS and glucose uptake were assessed in isolated tissues, and exocytotic proteins measured by western blotting. GLUT4 translocation was assessed by epifluorescence microscopy. Doc2b mRNA was detected in all tissues tested, whereas Doc2a was only detected in islets and the brain. Doc2aKO and Doc2bKO mice had minor glucose intolerance, while Doc2a/Doc2bKO mice showed pronounced glucose intolerance. GSIS was markedly impaired in Doc2a/Doc2bKO mice in vivo, and in isolated Doc2a/Doc2bKO islets in vitro. In contrast, Doc2bKO mice had only subtle defects in insulin secretion in vivo. Insulin action was impaired to a similar degree in both Doc2bKO and Doc2a/Doc2bKO mice. 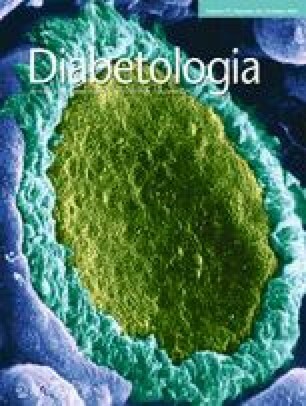 In vitro insulin-stimulated glucose transport and GLUT4 vesicle fusion were defective in adipocytes derived from Doc2bKO mice. Surprisingly, insulin action was not altered in muscle isolated from DOC2-null mice. Our study identifies a critical role for DOC2B in insulin-stimulated glucose uptake in adipocytes, and for the synergistic regulation of GSIS by DOC2A and DOC2B in beta cells. Jia Li, James Cantley and James G. Burchfield contributed equally to this study. The online version of this article (doi: 10.1007/s00125-014-3312-y) contains peer-reviewed but unedited supplementary material, which is available to authorised users. We thank T. Südhof (Stanford University, CA, USA) for providing antibodies. We thank M. van de Bunt and A. Gloyn (University of Oxford, UK) for assistance with RNA-seq data analysis. This work was supported by a National Health and Medical Research Council of Australia (NHMRC) program grant (DEJ) and project grant (JC), and by the Chinese Scholarship Council (JL). DEJ is an NHMRC Senior Principal Research Fellow. The authors declare they have no duality of interest associated with this manuscript. DEJ conceived the studies. JC wrote the manuscript, with critical input from all authors. DEJ, JC, JL, JGB and JS designed experiments and interpreted data. JC, JL, JGB, JS, CCM, PTW, HP and RC designed experiments, and acquired and analysed data. MV and AJAG contributed to the acquisition and interpretation of data. All authors approved the final manuscript. DEJ is the guarantor of this work.